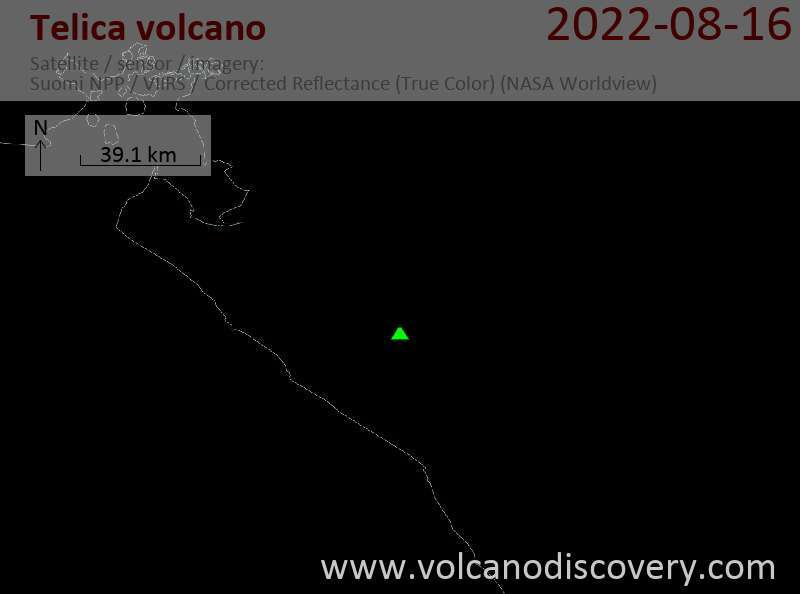 Telica, one of the most active volcanoes in Nicaragua, is a group of overlapping cones and craters on a broad NW line. The most prominent vent is a 700 m wide and 120 m deep double crater at the summit. Its southern summit crater has been the source of Telica's recent eruptions. The older Santa Clara vent at the SW end of the edifice erupted in 16th century and is now covered with vegetation. Another vent El Liston, immediately SE of Telica, is another volcanic edifice with several nested craters. Fumaroles and boiling mudpots are found at Hervideros de San Jacinto, SE of Telica. This prominent geothermal area is popular among tourists and the site of nearby geothermal exploration. In January and February 2007, there were small ash eruptions producing ash clouds reaching altitudes of 5000 ft (1,8 km). Telica volcano became active in August 1999. On 10 August 1999, an eruption produced ash fall 20 km WSW of Telica in the city of Chichigalpa. A lava lake in the summit crater was observed on 18 August. The ash eruptions continued until February 2000 and declined afterwards.